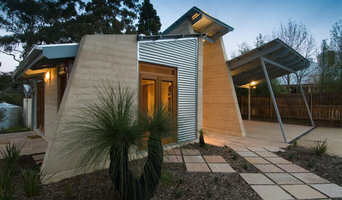 I am a registered Architect in South Australia with 25 years experience both in SA and QLD. I commenced my own practice in 2012. I can make the design and building experience a fun and rewarding one for you! I specialise in new homes, unit developments and house extensions. Obligation free visit in your own home to discuss your project. Free building cost estimates. Plans for council approvals and Tender. Other services: commercial architecture (retail, office, hospitality, hotel, warehouse etc), tendering, contract administration, site inspections and architectural drafting services. I specialise in tailor-made designs to suit your requirements and building budget. I can manage your entire residential or commercial project from design stage through to construction. I can even find suitable builders for you to tender out your project. I normally charge a very competitive fixed fee for each stage of service (based on hourly rates). You get a personalised service as I am involved in every stage of your project from design right through to the drafting of the plans. Payment is easy via direct deposit after each stage of the project. I am pretty flexible with my time and available for after hours appointments. Feel free to contact me on the above numbers with any enquiries. Residential Architect designing exceptional homes, delivering excellence with personal service Yvonne Svensson is a registered Architect based in Adelaide specializing in residential work ranging from new home designs, unit development, additions, renovations through to planning and construction management. Yvonne has been registered since 2005 and has been running her practice for about 7 years. Grant Lucas Architect has a portfolio of Residential work including many Owner Builder and Environmentally conscious projects. Swimming pool rooms, Alfresco eating and other spaces that blur the boundary of inside and outside are a specialty. We are a practice focussed on relationships. We want to understand your needs and wants for your building and help you bring them to life. We will work with you and others on the team in a collaboration that gets the best results for everyone. Glasshouse Projects is a boutique firm specialising in high-end residential projects, renovations, commercial and retail spaces, providing architectural design as well as project management and construction services. 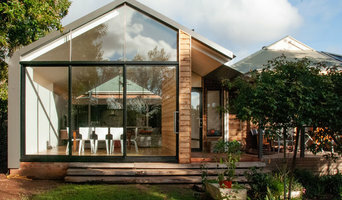 The advantage of using Glasshouse is that we not only design your space but we can assist you to build it too. Unlike traditional architecture practices, we provide a complete design and construction service, with clients dealing with one person at all stages of their project- from initial concept design, through council planning, to selections, construction, right up until handover of keys. Offering a tailored approach to architecture, we bring together international and local experience to collaborate with you on bold ideas, efficient outcomes or elegant solutions - the choice is yours. We ensure our clients always feel empowered. That is our bond. TS4 Living offers a one stop shop for design and construction of energy efficient homes and home extensions. We offer services that suit you. Every project is unique, so we listen to you and work with you to decide the best way to get the job done. We want you to be happy from start to finish, and to achieve that we listen carefully to you and then collaborate with you to design and build great homes. We specialises in low and zero energy residential design and small commercial developments. 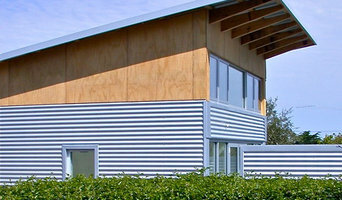 Architect designing sustainable buildings specialising in strawbale and natural materials. Also Aged Care facilities and Education Buildings. My passion is to create a functional harmony that makes buildings and spaces a joy to inhabit. I have built an architectural practice in Adelaide focusing primarily on the needs of clients and how they relate to their buildings. I enjoy taking the time to understand my clients - what they need now and what they want in the future. My experience as a sole practitioner, combined with time spent at some of Adelaide’s larger design firms, creates a depth of industry knowledge across all types of projects. My range of experience extends from residential renovation to large-scale public works. Through my practice, Peter Woolman Architect, I offer highly personalised, inspiring and practical architectural and design services for: Residential - new homes and renovation Heritage listed buildings Commercial/industrial - small to medium size. I create design solutions that work together with the surrounding environment. I create buildings that reduce energy costs by using natural energy efficiently. I deliver detailed design, leaving no room for confusion between the design and building phase. Peter Woolman Architect is committed to creating the design solution that you need. If your renovation is more than a simple benchtop replacement or roof re-tiling job, then it may be time to find an architect in Adelaide, South Australia who can manage your project from start to finish. Depending on the architecture firm you hire, the scope can span from planning sustainable design into your renovations, to selecting furniture and even interior finishes. An architect is often the first person you hire for your project. Before taking steps to find an architect in Adelaide, South Australia, ask yourself what you want to achieve from your renovation or home construction. Do you want to improve the liveability and sustainability of your home, or simply expand? What style of architecture do you prefer? Once you have established your motivation, research architects that have completed similar house designs in your Adelaide locale and within a comparable budget to yours. Ideally, your Adelaide, South Australia architect will be involved in all phases of the design process, from the initial concept to the completed construction. 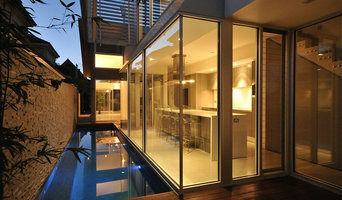 Your architect may be needed to select and hire South Australia subcontractors (e.g. builders, engineers and landscape architects) just as they may need to negotiate contracts with stakeholders. A good client-architect relationship will ensure they are your biggest advocate along the way during construction. Find residential architects on Houzz. 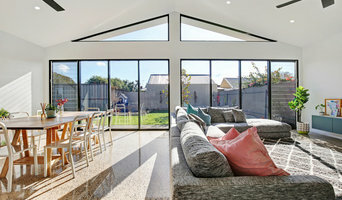 To find the best Adelaide, South Australia architect for your home design project, narrow your search to find professionals in Adelaide, South Australia. Then browse their latest projects and read reviews. You can also look through photos of projects to find an interior architect or designer who has worked on a project similar to yours.